← Another Useless Effort Breitbart Backed!!!! So Lat alerts us to three new papers find most of the alleged global warming since 1850 is artificial, with is heralded by The Hockey Stick. But, I like to go to the source. The read is fairly easy going, albeit, very lengthy. Much of it is very introductory. So, it may be pretty mundane for us climate warriors. It’s probably best to start here for many of us. Take your pick. For the papers themselves, I chose to look at #2. Here’s the pdf. It’s a total of 31 pages. This is from their conclusions. Sorry about the formatting, but, to do otherwise, I’d have to individually remove the numbers, and, many of us are used to reading numbered pdf papers anyway. 1740 bias is predominantly a warming bias. 1750 urbanization continued to increase. 1757 of the urban records unadjusted. 1761 station co-ordinates are inaccurate. 1768 adequately handle such a shortage. to this dataset has introduced new problems. I emboldened part of this because this is the problem with many people, including our scientists. People tend to view things as they experience them. And, these guys got it exactly right! Globally, we’re urbanizing. For Europe, much of it has already been urbanized, as is true for much of the developed world. About the only thing I’d add here is that we need to realize the UHI effect is logarithmic. That is to say a curve for the effect of UHI would look something like this …..
And, this is where almost everyone get’s it wrong. The impact on temps, locally, is most predominately done by the addition of the first human, and decreases in effect per person as the population increases. That is to say, when you add another person to the one, that additional person has much greater affect on the temps than does adding one to 100,000. GISS divides up the stations in a rural vs urban notion. Well, what’s rural? GISS uses night lighting to make that determination, today, as noted in the paper. But, that’s wrong. Science notes the “observer effect”, which refers to changes that the act of observation will make on a phenomenon being observed. And so it is with our temperature stations. Regardless of the type of thermometer we’re using, or the types of communication to the thermometer, we’re absolutely altering the environment in which we’re seeking to measure. There’s no getting around this, and thus, the adjustments. Are the adjustments wrong? Of course they are. GISS has only two categories? Even if they had their calculations right, which they don’t, then they’d still be mostly wrong because of the logarithmic nature of the UHI. The temperature record, which gives us a global average temperature is nothing but an illogical contravention of a bunch of fanatical lunatics who have no understanding of math or science. Not content with analysing the global temperature records, they have also written similar papers on Arctic Ice, Hurricanes, Station siting, Sea levels, Global warming “consensus”, the IPCC, Global temperature changes of the last millennium and the Physics of the Earth’s atmosphere (the last one is a “must read”). I do get your drift. OTOH, much of what they’ve written, from what I’ve seen, is mostly building upon foundations laid by many ….. which is how it’s suppose to work. I had it pointed out to me that here in the southwest the Indians would put line in the bottom of their pots to allow them to heat up quicker. My question to so called climate scientist it what does a city do. A city normal takes a flat surface and rough it up, even if you replace grass trees and bare ground with asphalt and concrete you also rough up the surface and increase the surface area and limit natural radiation to less than 180 degrees, Who do our intellectual morons have such difficult tile understand this, Maybe it because the may be educated yet morons. Oh I forgot moron is not PC correct! It is rapidly becoming a world that is freezing to death from AGW. The new scientist will now explain how heat exhaustion can be confused with hypothermia. 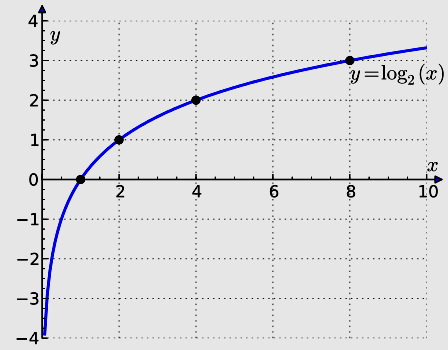 I learned in one of the WUWT threads that the urbanisation problem is not the only one simple logarithmic function as I thought before, but could be multiplied with 2 or 3 depending how many times the station has been moved. Let me explain, historically the station was close to the town. As the town increased, the station was covered by the UHI zone – we have an increase of temp. Once the station is affected by the urban heat it is moved a bit further, outside of the city’s UHI influence. Now again one starts from a lower temp as the station is outside the UHI. The town increases further – and gradually the station is again covered by the UHI zone with increasing temp. Nice isn’t it? We have already used 2 times the same UHI to increase measured temp. If the station is moved a second time, we start a third time with lower temp and we get a third time the same UHI island to cover the station with the city growing.